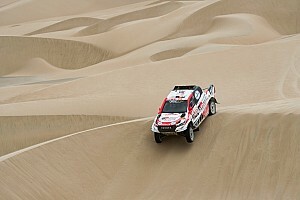 The team spirit is part of the DNA of the Dakar and is vital to the success of a professional team. There are no more watercarriers now but there is usually a member of the race team that is designated to support others if something happens during the stage. 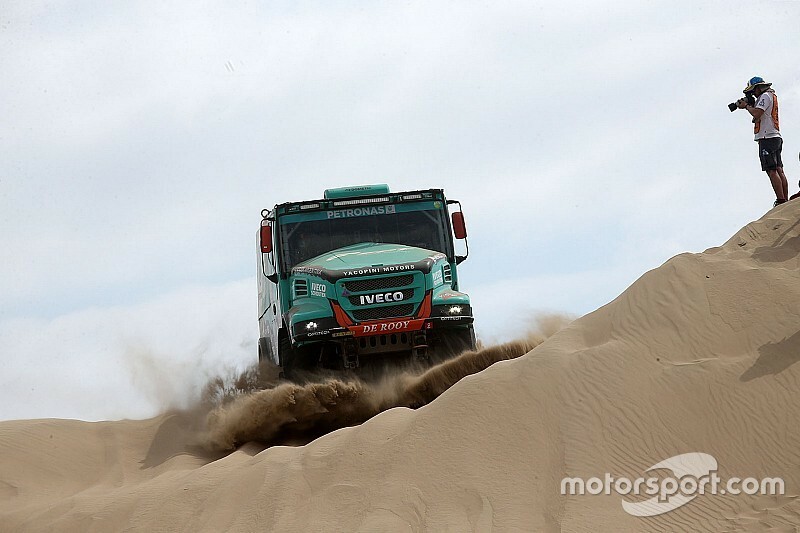 At the De Rooy Iveco team, this role is covered by newcomer Maurik van den Heuvel. His support was crucial on stage 3, an extremely tough day for the Dutch outfit. 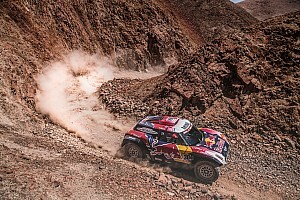 Among the four crews, only Federico Villagra managed to complete the 331km between San Juan de Marcona and Arequipa unscathed, finishing fourth on the stage and third overall. One mistake in the dunes cos Gerard De Rooy an hour and a half, as he remained stuck in the dunes with one wheel suspended in air and the steering wheel broken. 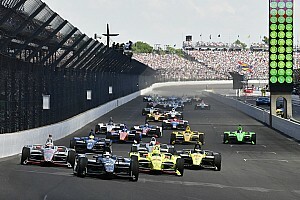 He could continue after taking van den Heuvel's steering wheel, the latter instead waiting for the arrival of the service truck. 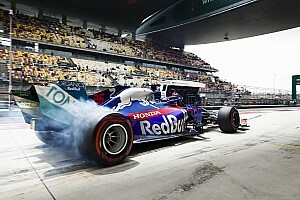 Despite the difficulties, the team remains very motivated. Nothing is over till the end, and with so many sandy stages everything is still possible.